Take our FREE online Wellness Evaluation today! Welcome - my name's Sue Thompson and I'm your Personal Wellness Coach. I'm offering clients the opportunity to trial the Herbalife Ideal Breakfast for 6 days. I've lost over 40 pounds using the Herbalife Weight Management Programme based on a 3 meal a day 'healthy eating' Programme. I'm full of energy and feel great! There's no calorie counting, no joining fee, no weekly classes - just a simple to follow Programme which includes a healthy main meal. I can show you how to lose weight or improve your health and save money on your food bills. 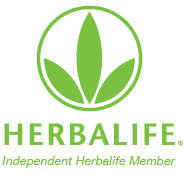 You can order your Herbalife products online from this site. 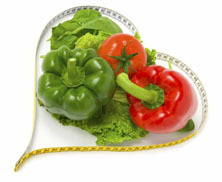 Or please call my direct line 44 (0)113 203 7605 or mobile 44 (0) 7932 654001 to discuss any health or diet related concerns. My goal is to help you to improve your nutritional well-being through the use of quality herbal nutrition products. So, if you're wanting to lose weight, gain weight, improve your game, have more vitality or to stay younger longer, you've found the solution. Please call 44 (0)113 203 7605 to book a phone based Wellness Evaluation. UK residents - to see the product prices please register your details and we will send you a unique access code. Non Uk residents - click on the flag opposite and choose your country from the drop down menu - the page will then reload with products available in your chosen country. Can you help me?? I've been trained by one of the world's leading Nutrition Company and I'm looking for a caring person who would like to train as a Wellness Coach. This is an enjoyable, lucrative career. If you dream of having more free time, if you want to escape the rat race, if you have made the decision to become financially free, if you dream of being able to work where and when you want then I may have the answer. Call 00 44(0)113 203 7605 or log on to www.poolglobal.com for more details and take a look at what is on offer. Health Directory - Directory of UK health providers and companies. This distributor hasn't written any posts yet.